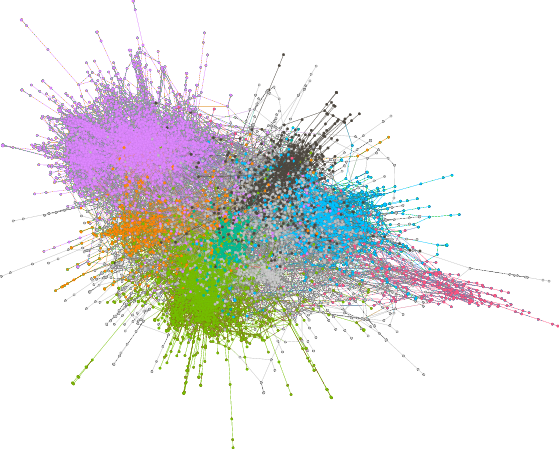 Leaders and scholars of online communities tend of think of community growth as the aggregate effect of inexperienced individuals arriving one-by-one. However, there is increasing evidence that growth in many online communities today involves newcomers arriving in groups with previous experience together in other communities. This difference has deep implications for how we think about the process of integrating newcomers. Instead of focusing only on individual socialization into the group culture, we must also understand how to manage mergers of existing groups with distinct cultures. Unfortunately, online community mergers have, to our knowledge, never been studied systematically. To better understand mergers, my student Charlie Kiene spent six months in 2017 conducting ethnographic participant observation in two World of Warcraft raid guilds planning and undergoing mergers. The results—visible in the attendance plot below—shows that the top merger led to a thriving and sustainable community while the bottom merger led to failure and the eventual dissolution of the group. Why did one merger succeed while the other failed? What can managers of other communities learn from these examples? In a new paper that will be published in the Proceedings of of the ACM Conference on Computer-supported Cooperative Work and Social Computing (CSCW) and that Charlie will present in New Jersey next month, I teamed up with Charlie and Aaron Shaw try to answer these questions. 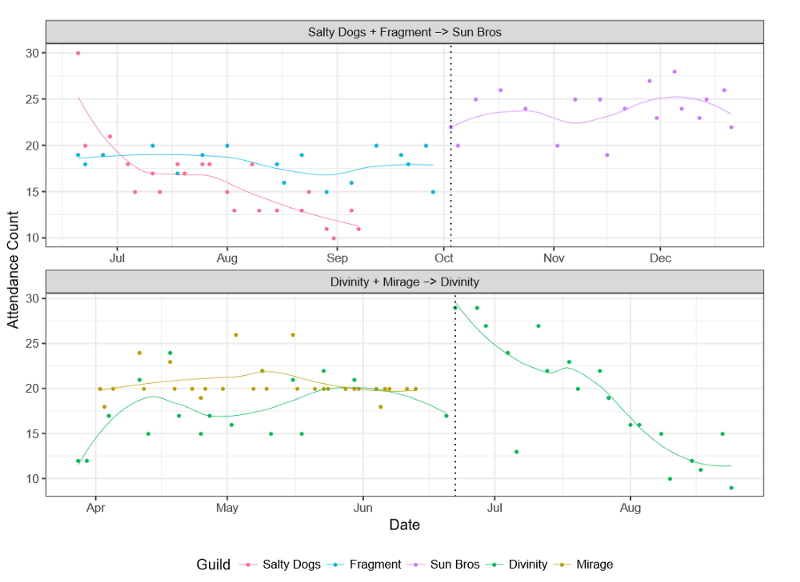 Raid team attendance before and after merging. Guilds were given pseudonyms to protect the identity of the research subjects. In our research setting, World of Warcraft (WoW), players form organized groups called “guilds” to take on the game’s toughest bosses in virtual dungeons that are called “raids.” Raids can be extremely challenging, and they require a large number of players to be successful. Below is a video demonstrating the kind of communication and coordination needed to be successful as a raid team in WoW. Because participation in a raid guild requires time, discipline, and emotional investment, raid guilds are constantly losing members and recruiting new ones to resupply their ranks. One common strategy for doing so is arranging formal mergers. Our study involved following two such groups as they completed mergers. To collect data for our study, Charlie joined both groups, attended and recorded all activities, took copious field notes, and spent hours interviewing leaders. Although our team did not anticipate the divergent outcomes shown in the figure above when we began, we analyzed our data with an eye toward identifying themes that might point to reasons for the success of one merger and the failure of the other. The answers that emerged from our analysis suggest that the key differences that led one merger to be successful and the other to fail revolved around differences in the ways that the two mergers managed organizational culture. This basic insight is supported by a body of research about organizational culture in firms but seem to have not made it onto the radar of most members or scholars of online communities. My coauthors and I think more attention to the role that organizational culture plays in online communities is essential. We found evidence of cultural incompatibility in both mergers and it seems likely that some degree of cultural clashes is inevitable in any merger. The most important result of our analysis are three observations we drew about specific things that the successful merger did to effectively manage organizational culture. Drawn from our analysis, these themes point to concrete things that other communities facing mergers—either formal or informal—can do. 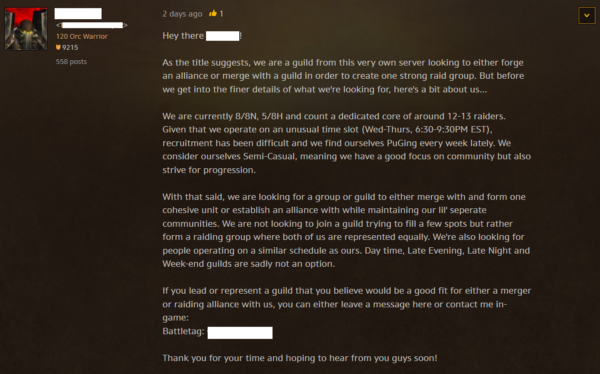 A recent, random example of a guild merger recruitment post found on the WoW forums. First, when planning mergers, groups can strategically select other groups with similar organizational culture. The successful merger in our study involved a carefully planned process of advertising for a potential merger on forums, testing out group compatibility by participating in “trial” raid activities with potential guilds, and selecting the guild that most closely matched their own group’s culture. In our settings, this process helped prevent conflict from emerging and ensured that there was enough common ground to resolve it when it did. Second, leaders can plan intentional opportunities to socialize members of the merged or acquired group. The leaders of the successful merger held community-wide social events in the game to help new members learn their community’s norms. They spelled out these norms in a visible list of rules. They even included the new members in both the brainstorming and voting process of changing the guild’s name to reflect that they were a single, new, cohesive unit. The leaders of the failed merger lacked any explicitly stated community rules, and opportunities for socializing the members of the new group were virtually absent. Newcomers from the merged group would only learn community norms when they broke one of the unstated social codes. The guild leaders in the successful merger documented every successful high end raid boss achievement in a community-wide “Hall of Fame” journal. 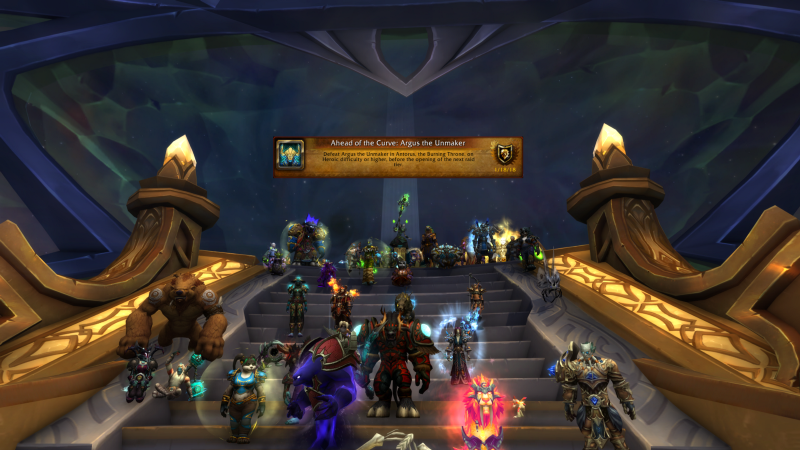 A screenshot is taken with every guild member who contributed to the achievement and uploaded to a “Hall of Fame” page. Third and finally, our study suggested that social activities can be used to cultivate solidarity between the two merged groups, leading to increased retention of new members. We found that the successful guild merger organized an additional night of activity that was socially-oriented. In doing so, they provided a setting where solidarity between new and existing members can cultivate and motivate their members to stick around and keep playing with each other—even when it gets frustrating. Our results suggest that by preparing in advance, ensuring some degree of cultural compatibility, and providing opportunities to socialize newcomers and cultivate solidarity, the potential for conflict resulting from mergers can be mitigated. While mergers between firms often occur to make more money or consolidate resources, the experience of the failed merger in our study shows that mergers between online communities put their entire communities at stake. We hope our work can be used by leaders in online communities to successfully manage potential conflict resulting from merging or acquiring members of other groups in a wide range of settings. Much more detail is available our paper which will be published open access and which is currently available as a preprint. Both this blog post and the paper it is based on are collaborative work by Charles Kiene from the University of Washington, Aaron Shaw from Northwestern University, and Benjamin Mako Hill from the University of Washington. We are also thrilled to mention that the paper received a Best Paper Honorable Mention award at CSCW 2018! Comparison of yearly sign-ups of trusted hosts on Couchsurfing and Airbnb. Hosts are “trusted” when they have any form of references or verification in Couchsurfing and at least one review in Airbnb. 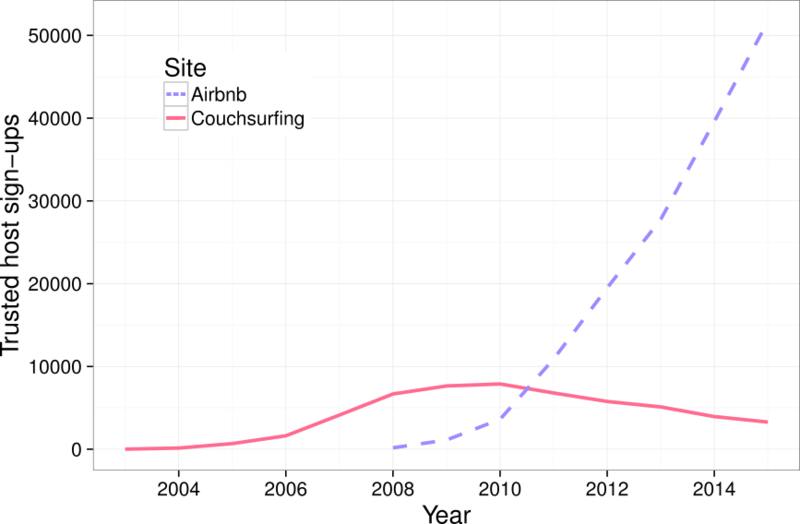 The figure above compares the number of people with at least some trust or verification on both Couchsurfing and Airbnb based on when each user signed up. The picture, as I have argued elsewhere, reflects a broader pattern that has occurred on the web over the last 15 years. Increasingly, social-based systems of production and exchange, many like Couchsurfing created during the first decade of the Internet boom, are being supplanted and eclipsed by similar market-based players like Airbnb. In a paper led by Max Klein that was recently published and will be presented at the ACM Conference on Computer-supported Cooperative Work and Social Computing (CSCW) which will be held in Jersey City in early November 2018, we sought to provide a window into what this change means and what might be at stake. At the core of our research were a set of interviews we conducted with “dual-users” (i.e. users experienced on both Couchsurfing and Airbnb). Analyses of these interviews pointed to three major differences, which we explored quantitatively from public data on the two sites. We conducted a quantitative analysis of rates of Airbnb and Couchsurfing in different cities in the United States and found that median home prices are positively related to number of per capita Airbnb hosts and a negatively related to the number of Couchsurfing hosts. Our exploratory models predicted that for each $100,000 increase in median house price in a city, there will be about 43.4 more Airbnb hosts per 100,000 citizens, and 3.8 fewer hosts on Couchsurfing. Previous research on Airbnb has shown that guests tend to give their hosts lower ratings than vice versa. Sociologists have suggested that this asymmetry in ratings will tend to reflect the direction of underlying social power balances. Average sentiment score of reviews in Airbnb and Couchsurfing, separated by direction (guest-to-host, or host-to-guest). Error bars show the 95% confidence interval. We both replicated this finding from previous work and found that, as suggested in our interviews, the relationship is reversed on Couchsurfing. As shown in the figure above, we found Airbnb guests will typically give a less positive review to their host than vice-versa while in Couchsurfing guests will typically a more positive review to the host. As Internet-based hospitality shifts from social systems to the market, we hope that our paper can point to some of what is changing and some of what is lost. For example, our first result suggests that less wealthy participants may be cut out by market-based platforms. Our second theme suggests a shift toward less human-focused modes of interaction brought on by increased “marketization.” We see the third theme as providing somewhat of a silver-lining in that shifting power toward guests was seen by some of our participants as a positive change in terms of safety and trust in that guests. Travelers in unfamiliar places often are often vulnerable and shifting power toward guests can be helpful. Although our study is only of Couchsurfing and Airbnb, we believe that the shift away from social exchange and toward markets has broad implications across the sharing economy. We end our paper by speculating a little about the generalizability of our results. I have recently spoken at much more length about the underlying dynamics driving the shift we describe in my recent LibrePlanet keynote address. More details are available in our paper which we have made available as a preprint on our website. The final version is behind a paywall in the ACM digital library. This blog post, and paper that it describes, is a collaborative project by Maximilian Klein, Jinhao Zhao, Jiajun Ni, Isaac Johnson, Benjamin Mako Hill, and Haiyi Zhu. Versions of this blog post were posted on several of our personal and institutional websites. Support came from GroupLens Research at the University of Minnesota and the Department of Communication at the University of Washington. 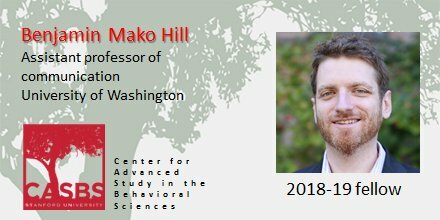 On September 4th, I’ll be starting a fellowship at the Center for Advanced Studies in the Behavioral Sciences (CASBS), a wonderful social science research institute at Stanford that’s perched on a hill overlooking Palo Alto and the San Francisco Bay. The fellowship is a one-year gig and I’ll be back in Seattle next June. A CASBS fellowship is an incredible gift in several senses. In the most basic sense, it will mean time to focus on research and writing. I’ll be using my time there to continuing my research on the social scientific study of peer production and cooperation. More importantly though, the fellowship will give me access to a community of truly incredible social social scientists who be my “fellow fellows” next year. Finally, being invited for a CASBS fellowship is a huge honor. I’ve been preparing by reading a list of Wikipedia articles I built about the previous occupants of the study that I’ll be working out of next year (the third fellow to work out of my study was Claude Shannon!). It’s rare for junior faculty like myself to be invited and I’m truly humbled. The only real downside of the fellowship is that it means that I’ll be spending the academic year away from Seattle. I’m going to miss working out of UW, my department, and the Community Data Science Collective lab here enormously. In a personal sense, it means I’ll be leaving a wonderful community in Seattle in and around my home at Extraordinary Least Squares. I’m going to miss folks deeply and I look forward to returning. 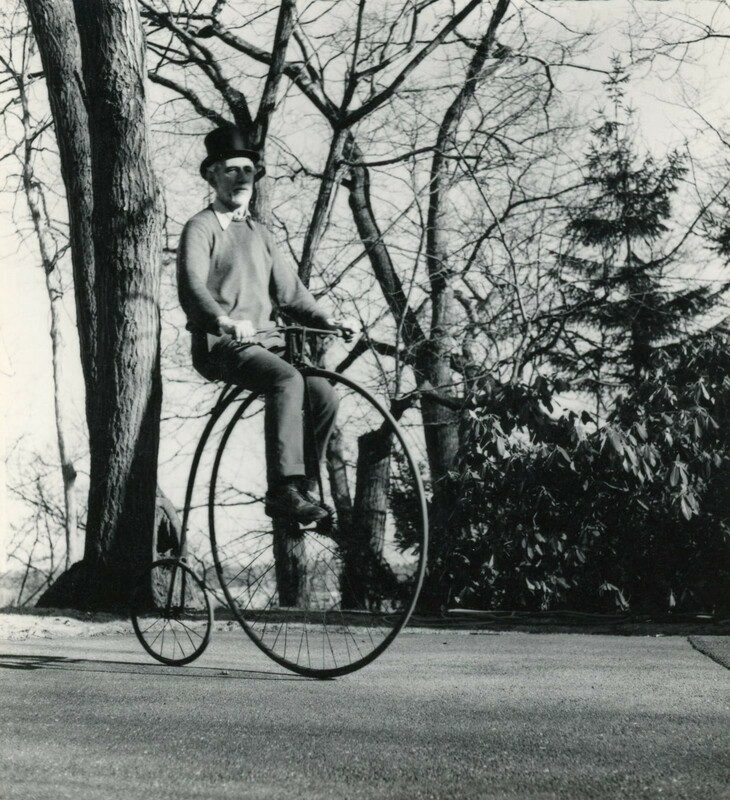 Of course, I’m also pretty excited about moving to Palo Alto. It will be the first time either Mika or I have lived in California and we hope to take advantage of the opportunity. Please help us do so! If you’re at Stanford, in Silicon Valley, or are anywhere in the Bay Area and want to meet up, please don’t hesitate to get in contact! We’ll be arriving with very little community and I’m really interested in meeting and making friends and taking advantage of my nine-months in the area to make connections! 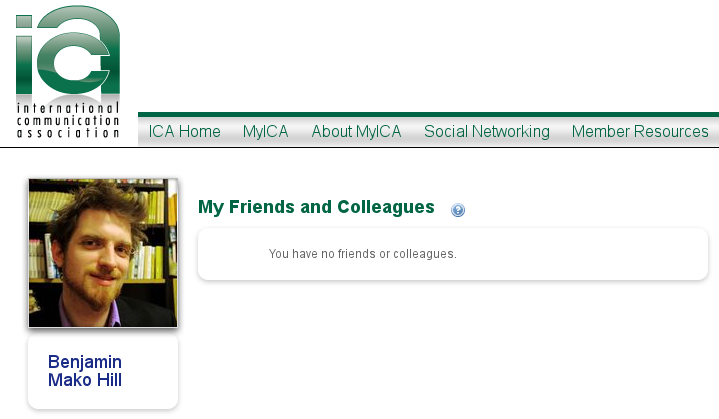 Although it’s never fun to have the most important professional association in your field tell you that “you have no friends or colleagues,” being able to make one’s very first submission to screenshots of despair softens the blow a little. Seymour Papert is credited as saying that tools to support learning should have “high ceilings” and “low floors.” The phrase is meant to suggest that tools should allow learners to do complex and intellectually sophisticated things but should also be easy to begin using quickly. Mitchel Resnick extended the metaphor to argue that learning toolkits should also have “wide walls” in that they should appeal to diverse groups of learners and allow for a broad variety of creative outcomes. In a new paper, Sayamindu Dasgupta and I attempted to provide an empirical test of Resnick’s wide walls theory. Using a natural experiment in the Scratch online community, we found causal evidence that “widening walls” can, as Resnick suggested, increase both engagement and learning. Over the last ten years, the “wide walls” design principle has been widely cited in the design of new systems. For example, Resnick and his collaborators relied heavily on the principle in the design of the Scratch programming language. Scratch allows young learners to produce not only games, but also interactive art, music videos, greetings card, stories, and much more. As part of that team, Sayamindu was guided by “wide walls” principle when he designed and implemented the Scratch cloud variables system in 2011-2012. While designing the system, Sayamindu hoped to “widen walls” by supporting a broader range of ways to use variables and data structures in Scratch. Scratch cloud variables extend the affordances of the normal Scratch variable by adding persistence and shared-ness. A simple example of something possible with cloud variables, but not without them, is a global high-score leaderboard in a game (example code is below). After the system was launched, we saw many young Scratch users using the system to engage with data structures in new and incredibly creative ways. Although these examples reflected powerful anecdotal evidence, we were also interested in using quantitative data to reflect the causal effect of the system. Understanding the causal effect of a new design in real world settings is a major challenge. To do so, we took advantage of a “natural experiment” and some clever techniques from econometrics to measure how learners’ behavior changed when they were given access to a wider design space. This blog post, and the open access paper that it describes, is a collaborative project with Sayamindu Dasgupta. Financial support came from the eScience Institute and the Department of Communication at the University of Washington. Quantitative analyses for this project were completed using the Hyak high performance computing cluster at the University of Washington. Is English Wikipedia’s ‘rise and decline’ typical? 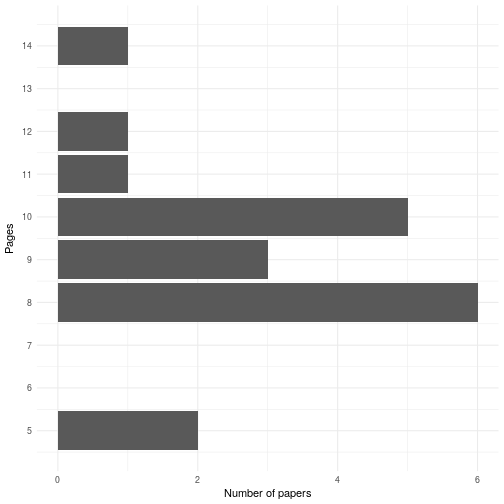 In a paper that my student Nathan TeBlunthuis is presenting Thursday morning at the Association for Computing Machinery (ACM) Conference on Human Factors in Computing Systems (CHI), a group of us have replicated and extended the 2013 paper’s analysis in 769 other large wikis. 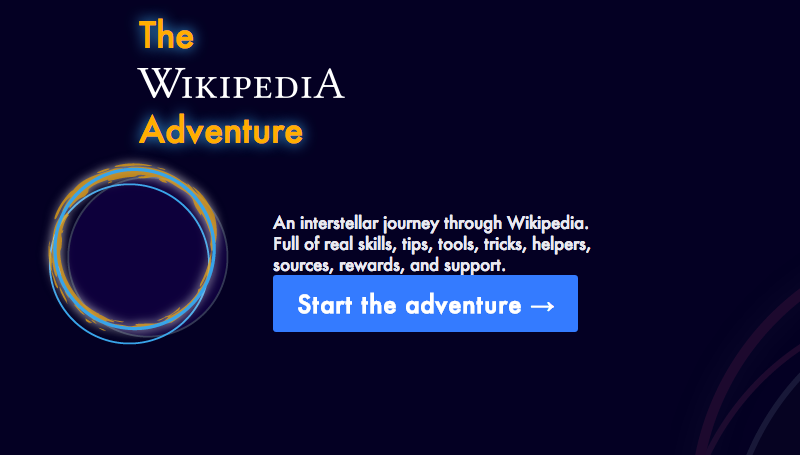 We find that the dynamics observed in Wikipedia are a strikingly good description of the average Wikia wiki. They appear to reoccur again and again in many communities. The original “Rise and Decline” paper (we’ll abbreviate it “RAD”) was written by Aaron Halfaker, R. Stuart Geiger, Jonathan T. Morgan, and John Riedl. They analyzed data from English Wikipedia and found that Wikipedia’s transition from rise to decline was accompanied by increasing rates of newcomer rejection as well as the growth of bots and algorithmic quality control tools. 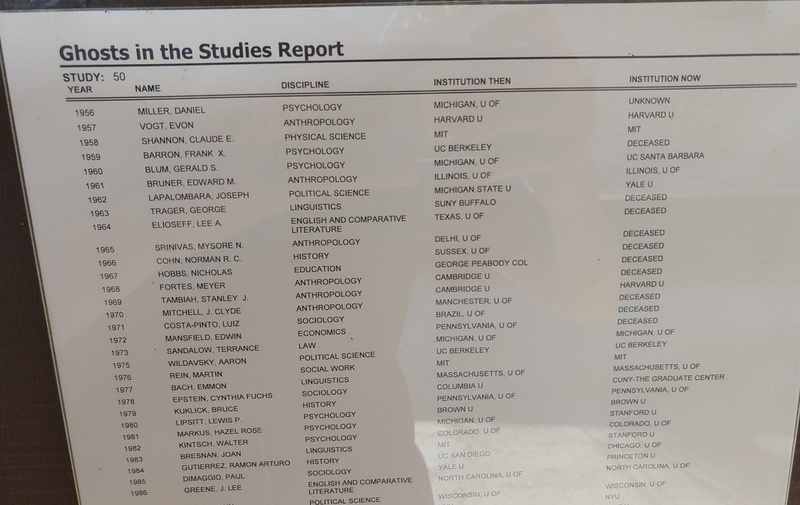 They also showed that newcomers whose contributions were rejected were less likely to continue editing and that community policies and norms became more difficult to change over time, especially for newer editors. We can walk you through some of the key findings. 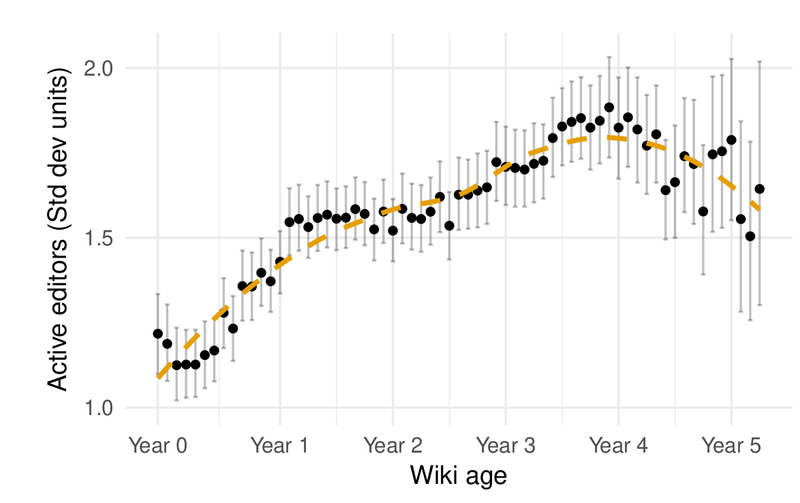 First, the growth trajectory of the average wiki in our sample is similar to that of English Wikipedia. As shown in the figure below, an initial period of growth stabilizes and leads to decline several years later. We hope you’ll read the paper and get in touch by commenting on this post or emailing Nate if you’d like to learn or talk more. The paper is available online and has been published under an open access license. If you really want to get into the weeds of the analysis, we will soon publish all the data and code necessary to reproduce our work in a repository on the Harvard Dataverse. Nate TeBlunthuis will be presenting the project this week at CHI in Montréal on Thursday April 26 at 9am in room 517D. For those of you not familiar with CHI, it is the top venue for Human-Computer Interaction. All CHI submissions go through double-blind peer review and the papers that make it into the proceedings are considered published (same as journal articles in most other scientific fields). Please feel free to cite our paper and send it around to your friends! This blog post, and the open access paper that it describes, is a collaborative project with Aaron Shaw, that was led by Nate TeBlunthuis. A version of this blog post was originally posted on the Community Data Science Collective blog. Financial support came from the US National Science Foundation (grants IIS-1617129, IIS-1617468, and GRFP-2016220885 ), Northwestern University, the Center for Advanced Study in the Behavioral Sciences at Stanford University, and the University of Washington. This project was completed using the Hyak high performance computing cluster at the University of Washington. The University of Washington’s brand page recently started publishing letterhead templates that departments and faculty can use for official communication. Unfortunately, they only provide them in Microsoft Word DOCX format. Because my research group works in TeX for everything, Sayamindu Dasgupta and I worked together to create a LaTeX version of the “Matrix Department Signature Template” (the DOCX file is available here). We figured other folks at UW might be interested in it as well. The best way to get the template to use it yourself is to clone it from git (git clone git://code.communitydata.cc/uw_tex_letterhead.git). 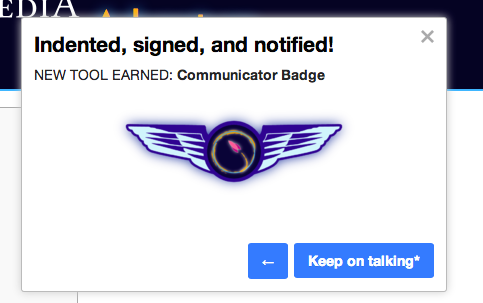 If you notice issues or if you want to create branches with either of the other two types of official UW stationary, patches are always welcome (instructions on how to make and send patches is here)! Because the template relies on two OpenType fonts, it requires XeTeX. A detailed list of the dependencies is provided in the README file. We’ve only run it on GNU/Linux (Debian and Arch) but it should work well on any operating system that can run XeTeX as well as web-based TeX systems like ShareLaTeX. And although we created the template, keep in mind that we don’t manage UW’s brand identity in anyway. If you have any questions or concerns about if and when you should use the letterhead, you should contact brand and creative services with the contact information on the stationery page. My research collective, the Community Data Science Collective, just announced that we’ll be hosting a event on casual inference in online community research! We believe this will be the first event on casual inference in any field. We look forward to relaxing our assumptions, and so much more! The book chapter and this blog post were written with Jeremy Foote and Aaron Shaw. You can read the book chapter here. This blog post was originally published on the Community Data Science Collective blog. This blog post was originally posted on the Community Data Science Collective blog. Graph of subscribers and moderators over time in /r/NoSleep. The image is taken from our 2016 CHI paper. Last year at CHI 2016, my research group published a qualitative study examining the effects of a large influx of newcomers to the /r/nosleep online community in Reddit. Our study began with the observation that most research on sustained waves of newcomers focuses on the destructive effect of newcomers and frequently invokes Usenet’s infamous “Eternal September.” Our qualitative study argued that the /r/nosleep community managed its surge of newcomers gracefully through strategic preparation by moderators, technological systems to reign in on norm violations, and a shared sense of protecting the community’s immersive environment among participants. We are thrilled that, less a year after the publication of our study, Zhiyuan “Jerry” Lin and a group of researchers at Stanford have published a quantitative test of our study’s findings! Lin analyzed 45 million comments and upvote patterns from 10 Reddit communities that a massive inundation of newcomers like the one we studied on /r/nosleep. Lin’s group found that these communities retained their quality despite a slight dip in its initial growth period. Our team discussed doing a quantitative study like Lin’s at some length and our paper ends with a lament that our findings merely reflected, “propositions for testing in future work.” Lin’s study provides exactly such a test! 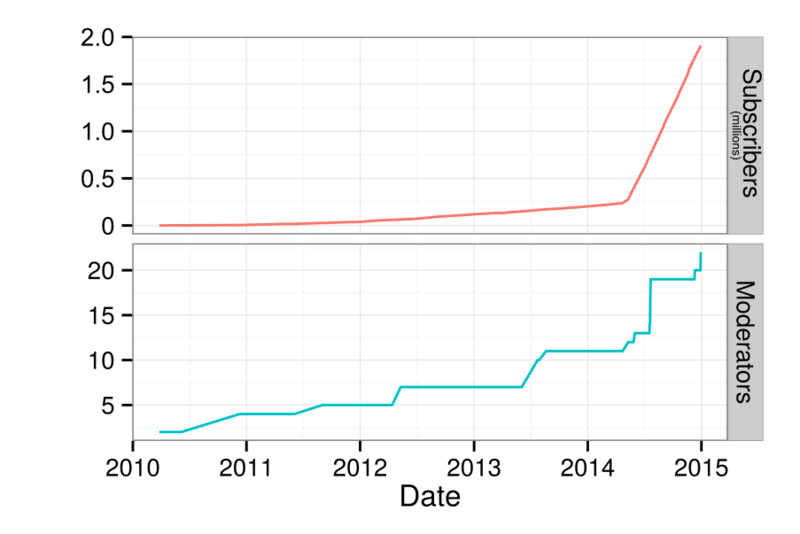 Lin et al.’s results suggest that our qualitative findings generalize and that sustained influx of newcomers need not doom a community to a descent into an “Eternal September.” Through strong moderation and the use of a voting system, the subreddits analyzed by Lin appear to retain their identities despite the surge of new users. There are always limits to research projects work—quantitative and qualitative. We think the Lin’s paper compliments ours beautifully, we are excited that Lin built on our work, and we’re thrilled that our propositions seem to have held up! This blog post was written with Charlie Kiene. Our paper about /r/nosleep, written with Charlie Kiene and Andrés Monroy-Hernández, was published in the Proceedings of CHI 2016 and is released as open access. Lin’s paper was published in the Proceedings of ICWSM 2017 and is also available online. I recently published a paper with Sayamindu Dasgupta that provides evidence in support of the idea that kids can learn to code more quickly when they are programming in their own language. Millions of young people from around the world are learning to code. Often, during their learning experiences, these youth are using visual block-based programming languages like Scratch, App Inventor, and Code.org Studio. In block-based programming languages, coders manipulate visual, snap-together blocks that represent code constructs instead of textual symbols and commands that are found in more traditional programming languages. Examples of a short piece of Scratch code shown in four different human languages: English, Italian, Norwegian Bokmål, and German. Although my research with Sayamindu Dasgupta focuses on learning, both Sayamindu and I worked on local language technologies before coming back to academia. As a result, we were both interested in how the increasing translation of programming languages might be making it easier for non-English speaking kids to learn to code. After all, a large body of education research has shown that early-stage education is more effective when instruction is in the language that the learner speaks at home. Based on this research, we hypothesized that children learning to code with block-based programming languages translated to their mother-tongues will have better learning outcomes than children using the blocks in English. We sought to test this hypothesis in Scratch, an informal learning community built around a block-based programming language. We were helped by the fact that Scratch is translated into many languages and has a large number of learners from around the world. 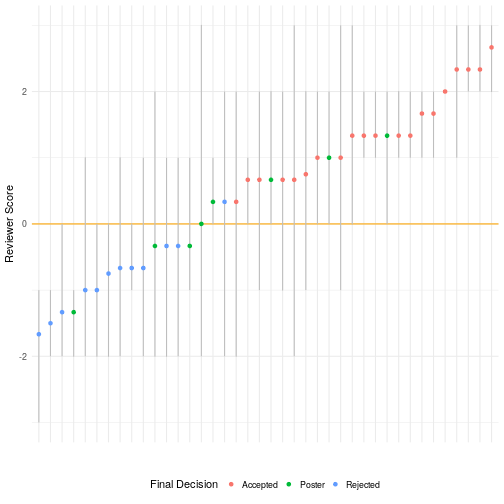 To measure learning, we built on some of our our own previous work and looked at learners’ cumulative block repertoires—similar to a code vocabulary. By observing a learner’s cumulative block repertoire over time, we can measure how quickly their code vocabulary is growing. 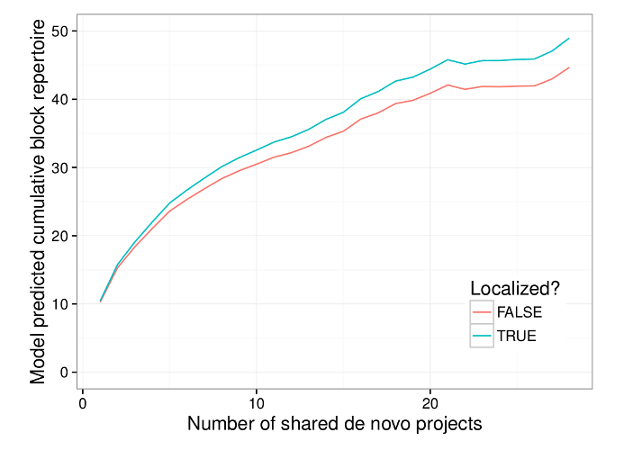 Using this data, we compared the rate of growth of cumulative block repertoire between learners from non-English speaking countries using Scratch in English to learners from the same countries using Scratch in their local language. To identify non-English speakers, we considered Scratch users who reported themselves as coming from five primarily non-English speaking countries: Portugal, Italy, Brazil, Germany, and Norway. We chose these five countries because they each have one very widely spoken language that is not English and because Scratch is almost fully translated into that language. Even after controlling for a number of factors like social engagement on the Scratch website, user productivity, and time spent on projects, we found that learners from these countries who use Scratch in their local language have a higher rate of cumulative block repertoire growth than their counterparts using Scratch in English. This faster growth was despite having a lower initial block repertoire. The graph below visualizes our results for two “prototypical” learners who start with the same initial block repertoire: one learner who uses the English interface, and a second learner who uses their native language. Summary of the results of our model for two prototypical individuals. Our results are in line with what theories of education have to say about learning in one’s own language. Our findings also represent good news for designers of block-based programming languages who have spent considerable amounts of effort in making their programming languages translatable. It’s also good news for the volunteers who have spent many hours translating blocks and user interfaces. Although we find support for our hypothesis, we should stress that our findings are both limited and incomplete. For example, because we focus on estimating the differences between Scratch learners, our comparisons are between kids who all managed to successfully use Scratch. Before Scratch was translated, kids with little working knowledge of English or the Latin script might not have been able to use Scratch at all. Because of translation, many of these children are now able to learn to code. This blog post and the work that it describes is a collaborative project with Sayamindu Dasgupta. Sayamindu also published a very similar version of the blog post in several places. Our paper is open access and you can read it here. The paper was published in the proceedings of the ACM Learning @ Scale Conference. We also recently gave a talk about this work at the International Communication Association’s annual conference. We received support and feedback from members of the Scratch team at MIT (especially Mitch Resnick and Natalie Rusk), as well as from Nathan TeBlunthuis at the University of Washington. Financial support came from the US National Science Foundation. 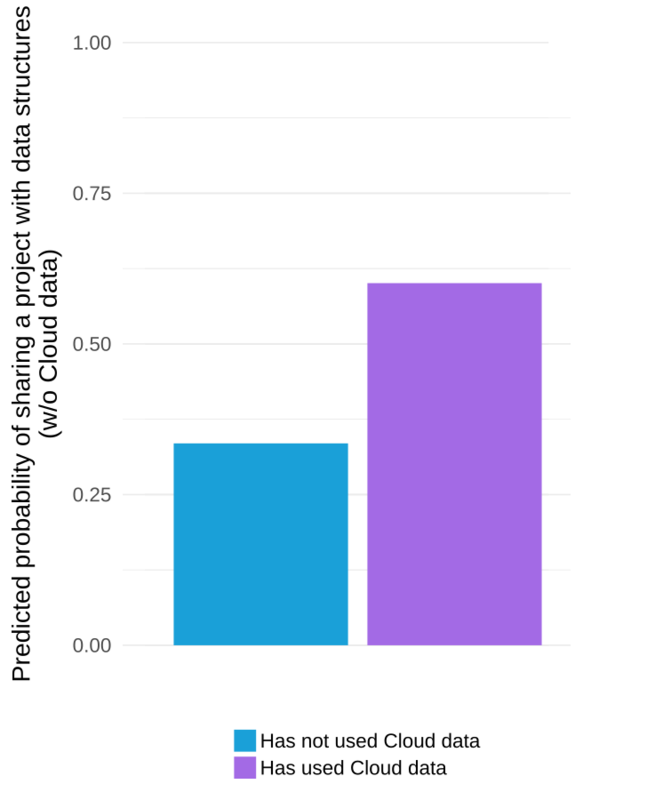 This post was also published on the Community Data Science Collective blog.